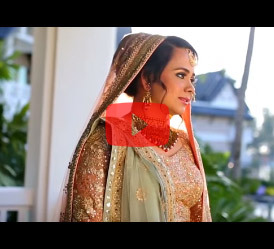 A beautiful love story deserves a gorgeous backdrop, and Shangri La’s Rasa Ria Resort & Spa in Kota Kinabalu, Malaysia, bore witness to the grand nuptials of Arrun and Vimmi, both of who were born and reside in the Philippines. Picture Perfect captured the three-day destination wedding with a ‘Timeless Love’ theme in an interesting yet intimate way through a cinematic video. 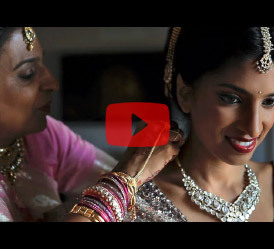 From the cheery hotel staff bearing Vimmi aloft in a doli to the bride’s mother sharing her moving memories of Vimmi as a little girl candidly, the video deftly transitioned through the myriad moods and moments of the event. Each ceremony had its own individual theme, and were all held in the hotel as it offered spacious indoor and outdoor spaces, scenic backdrops of the green tropical forest, golden beaches and blue horizon of the South China Sea. The poised and articulate couple seemed to enjoy featuring in the video. This was evident in their ready smiles, lack of awkwardness when giving interviews and comfort with the camera and the Picture Perfect crew. They were framed against stunning backdrops, whose highlights include a beautiful sunset, lush gardens and a glamorous ballroom where Vimmi and Arrun made a dramatic entry at their masquerade-themed, foot-thumping wedding reception. 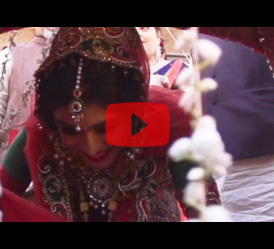 Drama, romance, dance, emotions – all the elements of a typical hit movie – can be seen in this wedding video that reveals what makes this couple unique – and an Indian wedding such a memorable affair.